Reliance Jio prepaid recharge plans offer free and unlimited voice calls but the data benefits vary. Reliance Jio prepaid recharge plans offer a reduced internet speed post usage of daily data limits. Reliance Jio has prepaid recharge plans starting from Rs 19. The costliest Jio prepaid recharge plan is priced at Rs 9,999. Jio plans offer free and unlimited voice calls but the data benefits of its prepaid recharge plans vary. Jio offers unlimited data across all its prepaid recharge plans but its daily high speed limits range from 0.15GB per day to 3GB per day, depending upon the specific prepaid recharge plan, according to Jio. 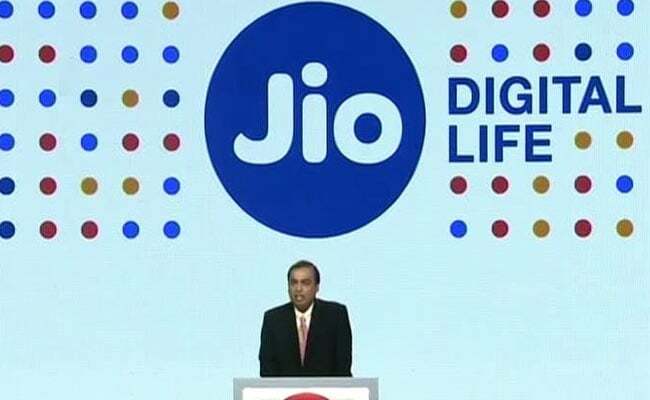 After the exhaustion of daily 4G data limits, the speed of internet gets reduced to 64 Kbps, said Jio on its website jio.com. This prepaid recharge plan of Jio offers high speed data of 70GB. The daily 4G data limit is 1GB. Unlimited local, STD and roaming SMSes are offered across all operators, in this prepaid recharge plan, according to Jio's website. This prepaid recharge plan of Jio is valid for 70 days. This prepaid recharge plan of Jio offers high speed data of 98GB. The daily 4G data limit is 2GB. The number of SMS - local, STD and on roaming - offered is unlimited, across all operators. This prepaid recharge plan of Jio is valid for 49 days. This prepaid recharge plan of Jio offers high speed data of 84GB. The daily 4G data limit is 3GB. The number of SMS - local, STD and on roaming - offered is unlimited, across all operators. This prepaid recharge plan of Jio is valid for 28 days.